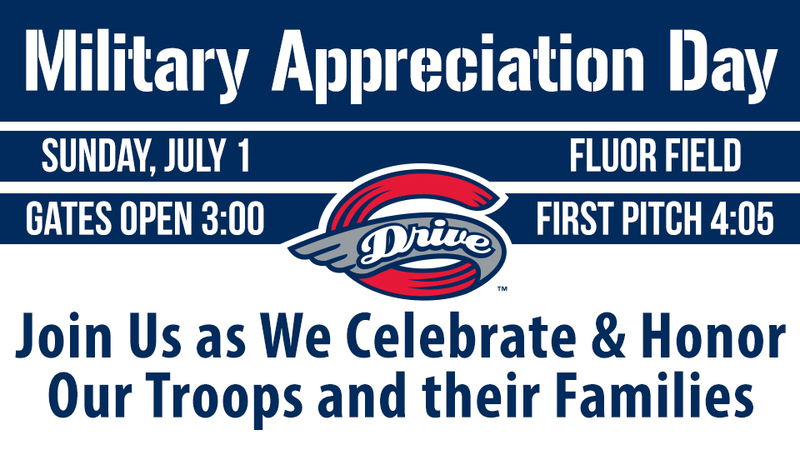 The Drive will celebrate Military Appreciation Day on Sunday, July 1st at Fluor Field. 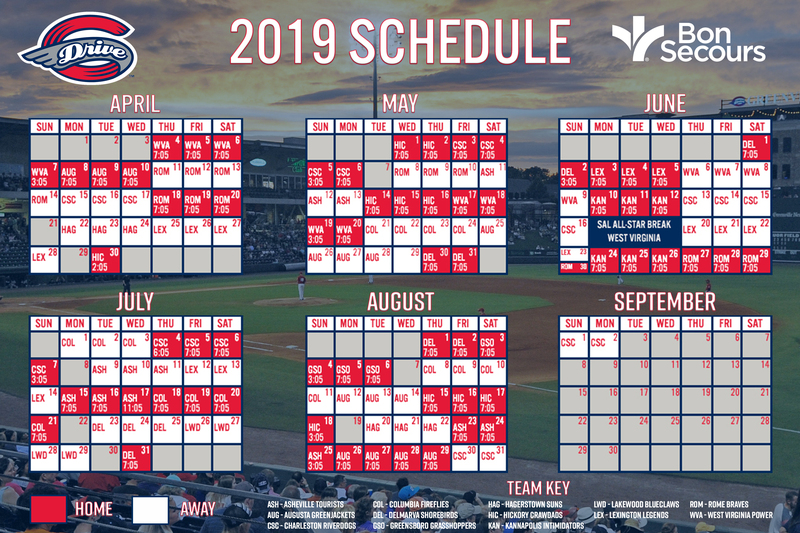 The game against the Charleston RiverDogs will begin at 4:05 PM, and the Drive are honored to recognize the brave men and women who have served, or continue to serve, our country as part of this special day. Throughout the evening, the Drive will team up with Upstate Warrior Solutions, a nonprofit that assists warriors with future opportunities and encourages the community to embrace them as neighbors and friends. Prior to the game, the Drive will have a special military vehicle display on Field Street for kids to take pictures with. The military celebrations will also begin before the game with a fly-in by the U.S. Army Special Forces Parachute Team and a flyover of Warbirds Vintage Aircrafts. Don't miss this special celebration of the military at Fluor Field on July 1st! Tickets are available now at the Main Street Box Office, by calling (864) 240-4528 or by CLICKING HERE.